Monday it was back to the office after 2 glorious weeks working from home. Don't get me wrong, I enjoy going to the office and getting dressed. But when I get 3 extra hours sleep and don't have to do my 5 hour round trip commute I am just so much more bright and happy. It also helps that I don't have to go to bed at 10pm like an old lady. But it was back to business this week. P.S. The Net-a-Porter U.S. clearance sale is in its final week, and you can get an additional 20% off sale by entering GIFT20 at checkout. * The sale ends at midnight PST on Thursday January 16. *The 20% discount code does not apply to the following brands: Givenchy, Gucci, Bottega Veneta, Miu Miu, Chloe and Fendi; or items marked "Final Reduction"
I just have to tell you that I love your hair that length - you look like a foot taller for some reason. I think Monday and Wednesdays looks were my favorites this week! 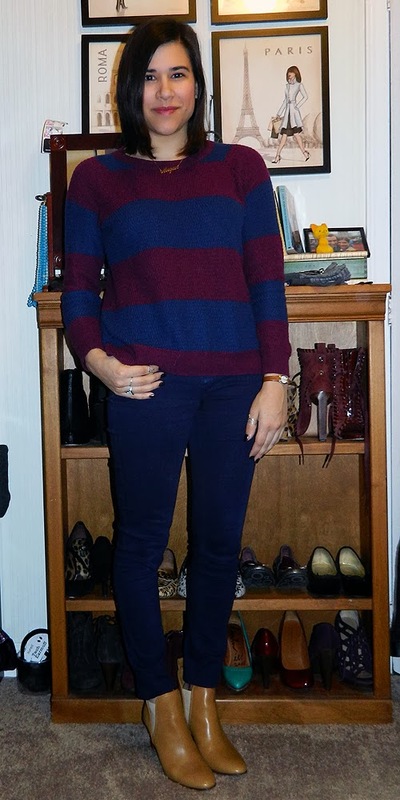 I really like that striped sweater! Extra sleep puts a person in a better mood for sure! Though having a reason to get up and get dressed is good too... shouldn't be in PJs all day every day. Yay for your fab new boots! I'm really loving your short hair : ) And your outfits! Oh it was so hard for me to get back to my routine! I'd love to stay in bed until 9am as I did during my break. I love Tuesday, very much! I feel for you, it's so hard going back to work when you've been gone a while, but you came back with a bang in your stylish outfits. I love the DVF dress. 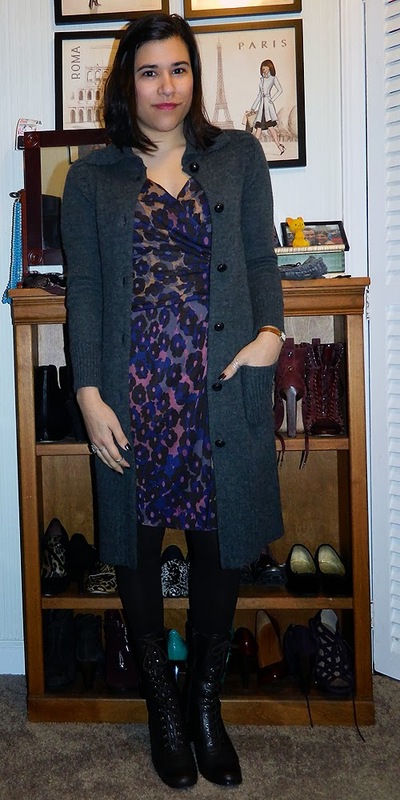 Love the animal print dress in your Thursday outfit! :) All look like such stylish, comfortable outfits! Lovely marc by marc jacobs sweater! 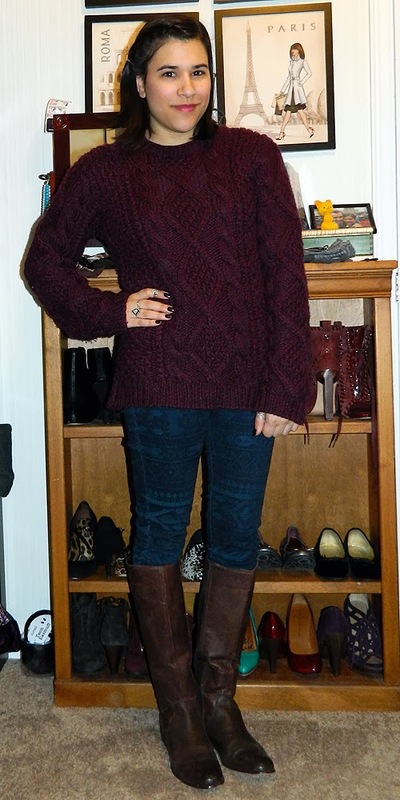 Burgundy suits you very well, love the Marc Jacobs knit sweater! My favourites are your Diane von Furstenberg dress and the sweater you wore on Monday. My favourites, 1 and 4!! I love the second jumper!